1- Where did the idea of ​​Şüşütown first come from? I was preparing for myself 2-3 years ago. Silk shawls, solid color shawls were quite fashionable. I have prepared colorful, funny shawls for myself because these shawls are very annoying in the summer. My friends started to like these bears. As you share it on Twitter, you have to ask where you got it. Since it is a dreamer to have my own business, suddenly Şüşütown business started. We started with 10 different products with very minimal figures. I never thought you would explode this much, I thought a few friends would give it a break. I took my photos and blogging, and suddenly blogger hits started coming. I am very surprised and excited. Actually, it was completely paranoid. I know the industry for what I read in International Finance. However, neither the feasibility study nor the need to do anything else. 2- You have created an online sales site. How many people are working at the point where Şüşütown is coming? Shan 4 people sew, we have a small workshop. We have 1 mold and 1 friend who helps messages. 3- How many products are there in Şüşütown brand? What is the most out of these products? We have nearly 100 products. But in the summer it does not sell poncho. The fabric of the poncho is over for summer. The fabricator stopped selling the fabric and started to produce special for us. Despite being a very classic product, he was very interested. I think it reflects the brand image of poncho, entertainment in your classics. 4 - Which city do you order more than the regional differences do you have? Our sales have tripled since we switched to the e-commerce system. Naturally, we receive the most orders from Istanbul. We have not sent any products to it, although there are many followers from the US. However, we are sending items anywhere in Turkey. I did not even send a rehearsal one. We were so happy when it was full on the customer. There are boutiques that we sell abroad especially to Europe. 5 - You are doing traditional Shukutown meet, what is the purpose of this meeting? What are you doing in this meeting? Everyone wants to meet and I want to, but it's hard to meet each other individually. I thought what I could do for this. Thanks to these meetings, we have increased our sincerity. Hot contact with our customers is very important, and we strongly encourage our dialogue, and we organize these discussions so that everyone can openly improve their feedback and suggestions. But I do not sell products there, I do not want them to say "I make such a meeting but just to sell something". It was a great way to increase brand awareness and love. Shushtown is effective in bringing more positive things into mind. 6- You are using social media very effectively. Instagram, Pinterest, Twitter etc. you are in many circles. Which one is the most beautiful rounds you get the most worth? I think the most important is Twitter. I love Twitter a lot more. I get more comeback from Twitter even though it has 50bb likes on Facebook. For instance, the campaign I started from Instagram does not turn too much. Instagram product introduction etc. I am very effective but I love him because I love Twitter. 7- So, how is it that Shushtown is so known? I think you have a few reasons. First of all, it came out with a very different product. There were patterned scarf-like products that would not show in the shawl size that we could cover with our first pattern origin. We could not even find it. She had a great love for being out with funny patterns. Of course, I also think it is a sincerity to be interested in individual customers. 8- Almost all of your photos have watermarks. Do people really use these photos? A lot came up for the photos. I had a very popular butterfly model on the first season. I started getting warnings from all my friends. As I introduced the models over me, I started to feel uncomfortable. New products I have not introduced myself. I have long thought about adding a watermark. I will not add a watermark after that. People will play again, but I guess there is not much to do. 9- Are you often sharing campaigns on the social media, are you satisfied that you are interested in this campaign? I am quite pleased. Pages become dynamic. Ten products are sold when a product enters the campaign. I did not start the drawing consciously. I was in the first week of the visa week. A few raffled tweets fell to the main page, so I said do not do it. RT gave me a tweet as a gift. I had more than 100 RTs in a minute, and I was in shock. 10- In general, all e-commerce sites in this sector are advertising. How are the ads in Şüşütown? I have never advertised until today. I do not know if I should give any further, but I am trying to improve myself in Digital Marketing, it seems to me to be productive. 11- I looked at Ekşisözlüğü before coming. If men buy a tie they say production. Are there special products for men? Actually, I'm thinking of designing a special tie. I am thinking of a different design, not a tie. But there is a problem, does a guy wear a tagged label? Such a problem is that I think of creating a sub-brand for the Abies like the exclusive Mademoiselle series. 12- What does Peki Şüşütown want to do in the future? I have a lot of plans in the long run. I get my products from open ladies at a rate of 5%, but I generally appeal to covered ladies. So why not step on a deck in London, or arrange a fashion show in Paris on why you should wear it. As a result, there is a very large group in the veil sector. Note: Şüşü's outfit is also from the new season products. Born on October 5, 1990, designer and entrepreneur Şüheda Aydın graduated from Kartal Anadolu Hatam High School and then continues her education life in Istanbul Bilgi University International Finance Department. Şüheda Aydın, who took fashion design education in Esmod, a French school, also became a student of Nil's Christian, a famous drama master. After training in shoes design, costume styling for cinema and TV, she continues her Fashion Management education at Istanbul Fashion Academy. Şüheda Aydın, who is part-time in Şay Triko, where she has been partner since 2008, has an internship at Lc Waikiki in the Design and Purchasing Department of the Women's Group. 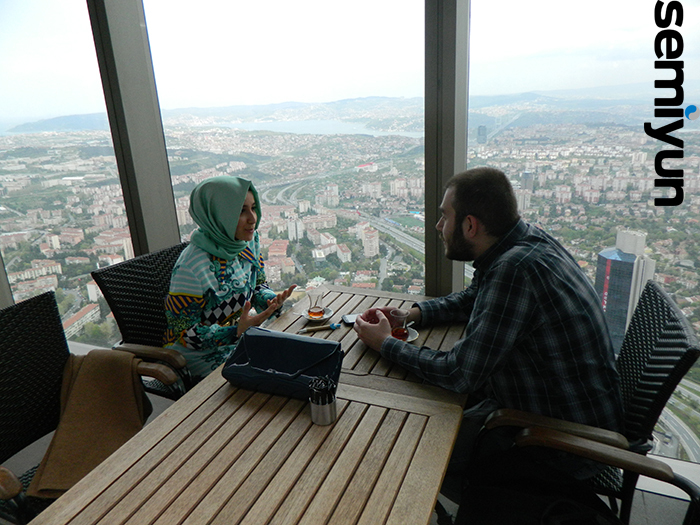 Since July 2011, she continues to be a designer and entrepreneur with Şüşütown brand. Şüheda Aydın, the Global Üniversitel Entrepreneurship Competition Social Impact Category 1st in November 2011, received Economy Award from Askon Businessmen Association in January 2013.